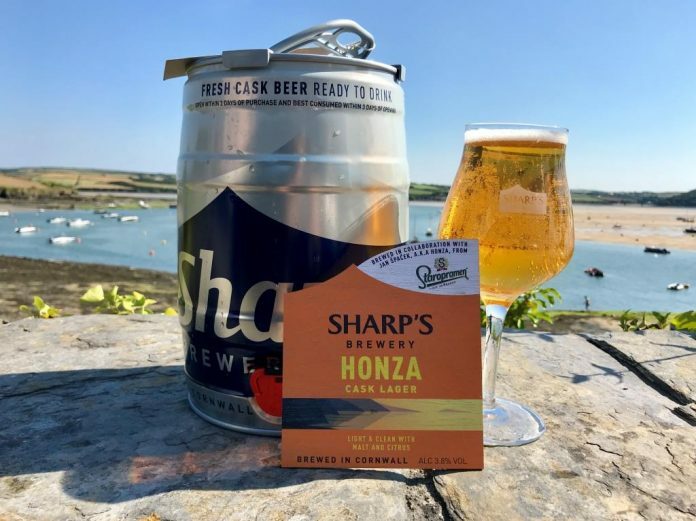 Sharp’s Brewery has released its latest limited edition beer. Honza is the result of collaboration with Staropramen Brewery in Prague and follows on from Manu Bay, a collaboration with New Zealand-based brewer Galbraith’s, which was released in May. A cask lager, Honza is “crisp, refreshing and moreish, with aromas of malted biscuit, subtle caramel and lemon”. Sharp’s head brewer, Andrew Madden, said: “Lager as a beer style is often misunderstood and underrated so Jan (Staropramen headbrewster Jan Špacek) and I took a look back at the roots of lager, and gained our inspiration from this heritage. Honza is available to buy on draught in pubs and bars around the country from this month.